Welcome to Summer! The time of year where the sun is bright, the water is cool, and the bugs are at their worst. 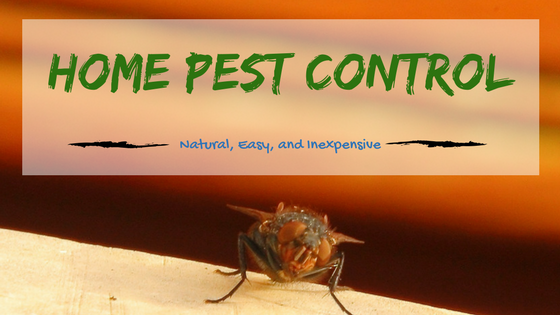 Whether you are outside enjoying nature's abundant beauty, or at home just trying to soak up some AC on those super hot days, you have to deal with the encroaching menace of bugs. While cleanliness is the first step to dealing with household pests, there are other things you can do for natural pest control in your home. Ants just love to use our homes as parade grounds this time of year. They're also super hard to get rid of once they decide they like your home. However, there is something they really don't like that most homes have plenty of. Used coffee grounds. Yes, you heard me. Used coffee grounds. Sprinkle a few of these around your windows and doors. This will deter those pesky paraders. If, however, you missed a spot and get invaded, try borax. Mix equal portions of borax and sugar together. Pour this mixture into containers with holes poked in the lid. Place them strategically around your home (close to the afore mentioned invasion). The ants will be attracted to the mixture by the sugar and the borax will take care of the silent invasion for you. Fruit flies may seem, at first, to be harmless. However, if left to their own devices, they will quickly develop into a massive swarm. This is because their entire life cycle takes place over the course of 8 days. So in just over a week, your fruit fly population can more than triple. Cleanliness and good sanitation practices are the best prevention, but quite often it's not enough. These flies tend to breed and develop in drains, so the first step to getting rid of these pests is to clean the drains. A mixture of equal amounts boiling water and white vinegar, should be poured down your drains daily while you are combating this menace. You can also use natural traps to help catch the adults. The one that works best for me is very simple. Take a jar pour apple cider vinegar into it, filling it up about 2 inches. Add in a piece of fruit. Cover it with plastic wrap and poke holes in it. The flies will be drawn to the trap by the sweet smell, and won't be able to get out. Roaches, the epitome of horrid bug problems. If you live in Florida, you deal with them every rainy season. The best way to prevent an infestation is to keep your home super clean, but sometimes you need a little extra help. For a little extra help with prevention, turn to catnip. Roaches hate catnip. Just use some catnip oil in the little nooks and crannies that roaches find cozy. You can also crush fresh catnip leaves and leave them in those same corners of your home that you would put the oil. You can also use cypress wood chips (or mulch) around the outside of your home. This will help deter them from even entering into your home. However, if the creepy crawlies do make it inside there is something that works pretty well. Make a paste of equal parts boric acid (or use borax), sugar, and water. Place the paste in around possible roach hangout spots, the adult roaches will take it back to their nests and your roach problem should be gone in 2 weeks. If not, just make some more and reapply. However, you should be careful if you have animals or children as it could be harmful if they ingest this paste. There is something super simple that you can use as an all-purpose pest spray. Simply mix 1 cup grain alcohol with 20-30 drops of essential oils and spray it around your home. Different essential oils work better on certain pests. About the only one that works for spiders is peppermint, but you can mix it with lemongrass, catnip, and lavender to make a good all-purpose blend. I wish you all the best of luck with your pests! If you have any questions or comments, please leave them below!